Bitcoin Gold (BTG) is one of the lesser-known forks of Bitcoin (BTC). With that being said, it is also participating in the broad-based cryptocurrency recovery. In the last 7 days , it has increased by 19%. This clearly indicates that it is turning bullish just like the other Altcoins as well as cryptocurrencies. A week earlier, Bitcoin gold (BTG) was trading around $ 21.35. It had a market cap of $368.13 million. Currently, it is trading around $ 25.37. The current market cap of Bitcoin Gold (BTG) is around $ 438.11 million. This clearly indicates that in a matter of just 7 days, it has managed to increase by 19%. Considering the fact that it is one of the lesser known forks of Bitcoin (BTC), it is actually pretty surprising that it is recovering as well. One of the main reasons why it has recovered in the last 7 days is because the South Korean cryptocurrency exchange Bithumb increased the liquidity in Bitcoin Gold (BTG). 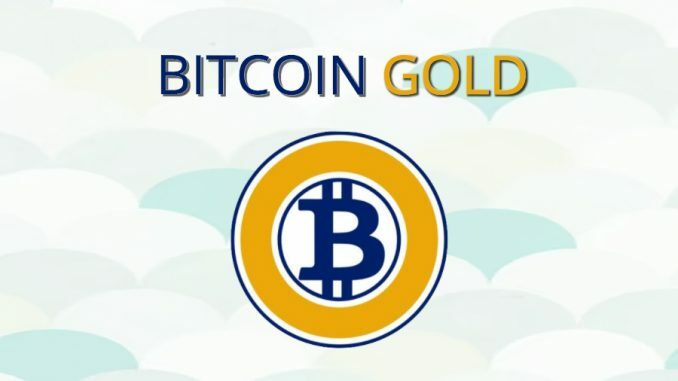 It listed Bitcoin Gold (BTG) against its local currency KRW. This clearly indicates that the South Korean exchange actually has confidence in Bitcoin Gold (BTG). Ever since this announcement, it has managed to increase even more as well. Even though it was earlier having a resistance of around $ 23, it was able to clear that resistance swiftly as well. Now the same level is acting as a support. This is one of the main reasons why the downside looks pretty limited as well. With the downside limited, the investors are also planning on holding Bitcoin Gold (BTG) for a longer period of time. That is why the sellers are on the lower side which is sustaining the price at the current levels as well. With that being said, only when the general cryptocurrency market is able to maintain these levels or rise higher, the smaller cryptocurrencies like Bitcoin Gold (BTG) will also be able to sustain these prices. This is one of the main reasons why the general trend in the cryptocurrency market will actually matter a lot when it comes to the price movements of Bitcoin Gold (BTG). With a smaller market cap, only fundamental development in Bitcoin Gold (BTG) can certainly propel it even higher as well. This is one of the main reasons why in the future as well, it might experience upmoves which might make it rise even further. All in all, a lot will be dependent on the liquidity and the number of exchanges which are listing Bitcoin Gold (BTG). ReddCoin (RDD) News – Will ReddID propel ReddCoin (RDD) higher? Stellar lumens (XLM) News – Will StellarX by Stellar lumens (XLM) really be a game changer in the digital asset industry?